Foxy looks like she’s trying to really make her comeback. She jumped on the remix of Brooklyn we go hard with Wayne Wonder and Santogold. Shout out to DJ Obsession for sending the track! Listen Here. A New York Publisher is suing Lil’ Kim (Surgical Addiction) and Foxy Brown, saying they were paid advances for books that they never delivered on. Simon & Schuster Inc. says Brown was paid $75,000 in 2005 to deliver an autobiography called “Broken Silence” by February 2006; and Lil’ Kim was paid $40,000 in 2003 for a novel due June 2004. The publisher wants its money back through the two lawsuits filed Thursday. After signing the deals, both women were imprisoned for several months. Lil’ Kim went to prison in 2005 for lying about a shooting, and Brown in 2007 for violating probation arising from a fight with two manicurists. Brown’s attorney says she hasn’t seen the lawsuit and can’t comment. Lil’ Kim’s attorney didn’t immediately return a call Thursday. Mediaoutrage– Someone’s always getting sued, but then again that’s a good reason if neither one of them delivered on the book but were paid. SMH. Foxy covers the September issue of XXL Magazine in which she bares her soul regarding her relationship with Jay-Z. 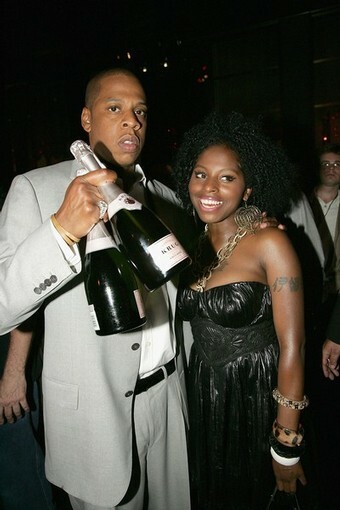 Here are a few excerpts…..
“A lot of things have happened over the years between Jay and I,” she says of the man who signed her to a multimillion-dollar deal at Def Jam in 2005, nine years after their classic duet “Ain’t No N*gga” gave him his first radio hit. 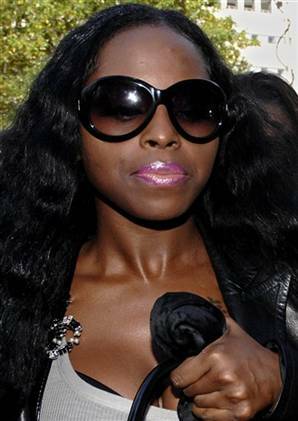 Foxy Brown if finally coming home as in being released after serving 8 months in a New York correctional facility. Foxy will be released on April 18th. Here’s what Foxy’s manager Chazz Williams told SOHH about her release. Mediaoutrage– Oh and Foxy is in talks about possibly getting her own reality TV show. Reality TV is becoming saturated. Soon their’s going to be a show about homeless dudes break dancing, and what it really means to break dance while being homeless. We can see it on VH1 now. 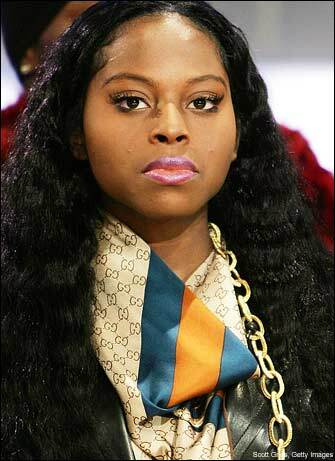 Manager Says Foxy Brown Is Not Pregnant!! !